The Women's Valsetz RTS Boot are built like a running shoe to give you enhanced mobility and durability. 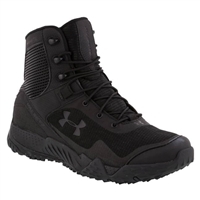 The Under Armour Tactical Zip 2.0 is a high-performance duty boot that provides reliable all day comfort. The Under Armour Infil Hike GTX offers lightweight protection for your feet.